You have a government with a former guerrilla who spouts philosophy and liberalizes marijuana but wants to mine, calls for marriage equality, yet has been the principal promoter of genetically modified cultivation in the country, talks like a man of the people, but at the same time the ballet is flourishing in Montevideo for the cultural élite. Eduardo Gudynas is what is commonly called a “wet blanket.” Latin America is not just going through a growth period, not just a time of “fat cows” as they say in Spanish, but obese ones, and he puts his finger in the ruminants’ manure. The abundantly didactic Uruguayan is already accustomed to preaching in the wilderness. In ERBOL, he has sown on fertile ground and is the subject of the last Mapamundi of the season. Here are his words. Your country’s president has become a hero to almost everyone. Is Pepe Mujica the marvel he seems? An important point is that in Uruguay, the presidency has a very limited capacity. It is the parties that govern there, especially the Frente Amplio (Broad Front) coalition. There are also many powerful, established and institutionalized systems that weigh in on what the Government can and cannot do. An example: Many of the most important laws approved by the Mujica government over the last few years have been declared unconstitutional by the Supreme Court of Justice because of drafting errors, conflicts with the Constitution, etc. And when that occurs, nothing happens, it is not a political catastrophe or anything, it’s part of an acceptable dynamic. So there are checks and balances. Of course. On the other hand, it is also true that the President’s personality mirrors what you said. He is a person who reflects austerity, though he may be a much more efficient, colorful and useful legislator thanks to his ability to reflect. There is a widely used slogan that was started by Mujica himself, which is: “As I tell you one thing, I’ll tell you another.” He always analyzes both sides of any situation. But he and his subgroup within the coalition have more problems as administrators, as managers. They are not good at that, which explains some of the constitutionality problems that I was mentioning to you. They have serious problems putting ideas into practice. So they are a little disorganized? Yes, that’s their libertarian side. He’s not an oppressive president within the government coalition or in the face of the other political parties. He understands how to play compensatory games. But there are some advances and setbacks on important issues that haven’t been able to be resolved. Two issues that most citizens are concerned about, and it’s very similar in neighbouring countries, are crime and the crisis in education. In general, the parties of the left have not been able to resolve the problems resulting from crime. The situation has become progressively worse in all cities. And then there is a very big crisis in education, especially at the high school level, which is not functioning. But certainly, Mujica has a great, powerful republican austerity. He is known for it. For example, public works in Uruguay do not display Mujica’s photo. But that wasn’t the case either under previous governments. The President and his entourage, as another example, do not get involved in municipal elections. Additionally, they seek cooperation mechanisms with the other parties in state policies. For example,?all state enterprises have opposition party representatives on their boards. The same for state banks. This also occurred under previous governments and is being carried on. So the left has not wanted to alter what is already institutionalized. No, it hasn’t wanted to, and furthermore, I believe Mujica has a more republican disposition than the last progressive president, Tabaré Vásquez. 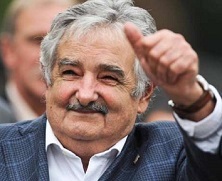 What kind of Uruguay does Pepe Mujica dream of? 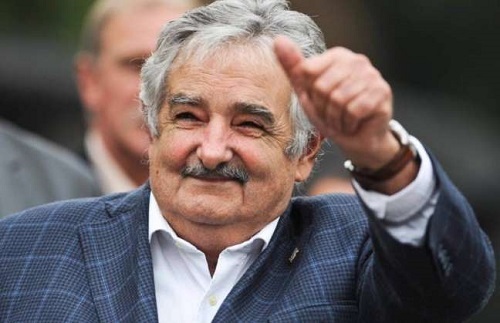 His main dream is development, but the end result of his administration is that Uruguay is starting to do large-scale mining. In a country where there has never been large-scale, open air iron mining. Of course there has been very strong opposition by farmers and livestock raisers in the region, as well as among civil society. The Mujica government wants to sign an investment agreement with a consortium from India. You’re thinking of Mutún, right [in Bolivia]? Yes, they are a consortium in competition with Jindal, which has been offered the construction of a terminal port and certain energy-using facilities. What’s curious is that the opposition is asking for the nationalization of iron, saying that if there is going to be mining, it should be a state enterprise on which environmental controls are applied, and if that is not duly addressed then they won’t approve the project. Whereas President Mujica and his entire entourage want to release them from all environmental controls. Has a neoliberal left been born? No, I don’t think it’s neoliberalism. To me, there seem to be substantive differences with neoliberalism. Why are progressive governments not neoliberal? Because they encourage the State to take a leading role in various sectors of the economy. Furthermore, there is the demand for social justice. We could dispute if they do a good or bad job or have bungled it, but they are not the same as previous governments. His thinking is contradictory, paradoxical, nuanced. He doesn’t see the contradictions that other people do. He reminds me of my father’s generation. Mujica’s dream is a country of big factories, with rows of chimneys.? As for environmental, social or cultural issues, he sees them as secondary and elitist. The challenge is to get out of poverty, and to get out of poverty I need to have a job, any kind of job. We’ll find out later if there is an environmental impact. You have a government with a former guerrilla who spouts philosophy and liberalizes marijuana but wants to mine, calls for marriage equality, yet has been the principal promoter of genetically modified cultivation in the country, talks like a man of the people, but at the same time the ballet is flourishing in Montevideo for the cultural élite. And that’s the direction the country is going in. What is your forecast? Is Frente Amplio going to come back and win [in the October 26, 2014 elections]? Uruguay is very, very small. So surveys are quite reliable, because it’s possible to know what everyone thinks down to the person next door. Everything seems to indicate that Frente Amplio will not retain the majority in the Legislative Assembly and that there will be a second round to decide the next president. Frente Amplio may or may not win, this is still uncertain. Uruguayan Eduardo Gudynas is one of South America’s most respected environmental analysts and activists.